Koblenz vacuum cleaners can be referred to as amongst one of the largest manufacturing companies across the globe. It consists of around 2000 employees; inclusive of technicians, engineers, developers, researchers, and managers; all of them working towards improvement in peoples lives with activities they perform. Koblenz vacuum cleaners provides a wide spectrum of handheld cleaners; which have plenty of models to be chosen from. These devices can be used by kids; that too, without any harm. 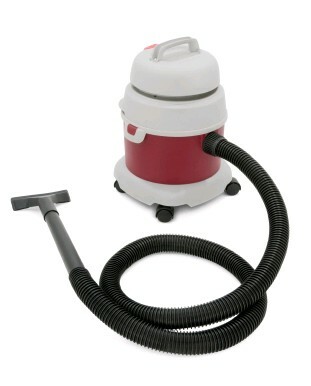 Its canister vacuums are also in great demand. 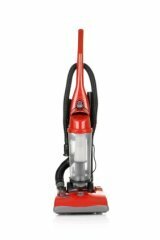 KC-1500 S Maxima Canister Vacuum  This vacuum consists of 1300 W/10 A motor. The other features include advanced filtration system, 19-ft. cord having auto rewind feature, air blower function, pick up tool, on-board tools, and an inflator nozzle. Also, limited warranty of 1 year is provided with. PV-3000-BX Wet/Dry All purpose PowerVac (Factory Serviced)  The aforementioned vacuum cleaner is capable of picking up any spill easily; irrespective of it being wet or dry; or on bare floors, upholstery, or carpets. Its encompassed with an extremely powerful motor (1.5 peak hp). Also, this model can be easily converted in to an air blower. Tank capacity is 3 gallons. Width of cleaning path is 10 inches. Household warranty is of 1 year; whereas commercial warranty consists of 90 days. RT-3 Compact Wet/Dry Vacuum (Factory Serviced)  This vacuum cleaner cleans both; dry and wet materials. Moreover, its perfect with regards to immediate clean-ups in garages or workshops. Length of foot cord is 6 ft. Tank capacity is 3 gallons. This device can easily be converted in to air blower. Commercial warranty is of 90 days; whereas household warranty of 1 year. B-1500-DC high Speed Burnisher  This model is provided with a high speed buffer, 20-inch cleaning pad, 1.5-HP P D C motor, Metallic construction, and limited warranty of 3 years. Length of power cord is 50 ft.
B-1500-FP High Speed Burnisher (Factory Serviced)  This vacuum cleaner can boast of high-speed buffer, cleaning pad having width 20 inches, and ultra-smooth balancing operation. Plus, it has been provided with limited warranty of 3 years. DP-1334 Industrial Floor Machine  This vacuum comprises of 13-inch cleaning pad, motor (0.75 hp), polyethylene construction, power cord having length of 50 ft., and limited warranty of 3 years. RM-1715 Industrial Floor Machine  This machine has been designed got usage on the daily basis. Experienced technicians are advised to use this device; in particular. Capacity of motor is 1.5 hp. Limited warranty of 3 years is provided with. TP-1710 Industrial Floor Machine  This device is simple to operate, easy-going, and adjustable. One wouldnt get fatigued after using the product as its lightweight. Metallic construction ensures longer life-span. 3-year warranty has been provided on transmission and motor; whereas 1-year warranty is provided on workmanship and labor.